In September 2018 I’ll be the visiting poet at the University of Northern Colorado, thanks to the super kind invitation of Lisa Zimmerman. I’ll be doing a public reading as part of my time there, on Tuesday, September 25. Here are the details: 7:30pm, Spruce Suites at the University Center, 2102 10th Avenue, Greeley. I can’t wait. May, 2016: Reading at teaching at the Skagit River Poetry Festival, LaConner, WA. September 20, 2015: Manayunk Roxborough Art Center, Philadelphia, PA. Thanks to Peter Krok! November 12, 2015 :Moonstone Arts Center, Philadelphia, PA. Reading with two wonderful people and poets, Charlotte Boulay and Randall Potts. April 25, 2015: Reading as part of the Philadelphia Poetry Festival at the Parkway Central Library, Philadelphia, PA.
April 16, 2015: Mad Poets Society reading at the Swarthmore Public Library, 121 Park Avenue, Swarthmore, PA.
April 6, 2015: Reading with poet Ethel Rackin, Monday Poets Series, Philadelphia Free Library, Philadelphia, PA.
February 27, 2015: Reading with poets Kelly McQuain and Elizabeth Scanlon as part of the Moonstone Poetry Series at Fergie’s Pub, Philadelphia, PA.
January 20, 2015: Reading with poet Grant Clauser at the Green Line Café, Philadelphia, PA.
December 13, 2014: Reading at Panoply Books, Lambertville, NJ. December 4, 2014: Reading with poets Molly Weigel and Ethel Rackin at Farley’s Bookshop, New Hope, PA.
November 11, 2014: Reading with poets Teresa Leo and Daisy Fried at the University of Pennsylvania’s Kelly Writers House, Philadelphia, PA.
October 18, 2014: Reading with poet Martha Silano at Village Books, Bellingham, WA. October 17, 2014: Reading with poet Laurie Blauner at Open Books, Seattle, WA. October 5, 2014: Reading with flash-fiction writer Randall Brown at the Hunterdon Art Museum, Clinton, NJ. October 3, 2014: Reading with poets Wendy Fulton Steginsky and Bill Wunder at Bucks County Community College, Newtown, PA.
July 14, 2014: Reading with poet Chris Cunningham at the Princeton Public Library, Princeton, NJ. June 28, 2014: Chronogram group reading, Kleinert-James Art Center, Woodstock, NY. June 7, 2014: Reading at the Mt. Airy Art Garage, Philadelphia, PA.
May 9, 2014: Reading with poets Leah Umansky and Michael Klein as part of the Red Sofa Reading Series, Philadelphia, PA.
May 1, 2014: Reading with Keetje Kuipers at Moe’s Books, Berkeley, CA, as part of the Poetry Flash series. April 27, 2014: Reading with prose writer Tarn Wilson, at Henry M. Gunn High School, Palo Alto, CA. March 29, 2014: Reading with Teresa Leo at Musehouse: A Center for the Literary Arts, Philadelphia, PA.
March 21, 2014: Reading at the Newtown Library Company, Newtown, PA.
March 15, 2014: Reading with Martha Silano and Phil Fried at the Big Blue Marble Bookstore, Philadelphia, PA.
February 26, 2014: Book signing for the University of Pittsburgh Press, AWP Conference, Seattle, WA. February 24, 2014: Reading with poet Annie Lighthart at Glyph Café and Arts Space, Portland, OR. 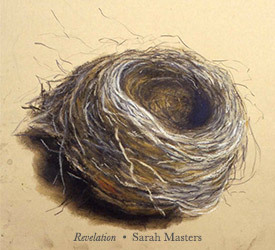 February 6, 2014: Reading and conversation with Sarah Masters at the Visual Arts Center of Richmond, Richmond, VA.
February 5, 2014: Reading and conversation with visual artist Sarah Masters at the College of William and Mary, Williamsburg, VA. Many many thanks to Sarah and Elizabeth Mead, our generous and thoughtful host. February 2, 2014: Reading with poet Valerie Linet and visual artist Lois Linet at the Olive Free Library, West Shokan, NY.